I spent a month in the hospital, and it was life changing. When I arrived at the eating disorder recovery clinic in January, the hospital was the last place I wanted to be. Severely underweight and sick, in the depths of my eating disorder, terrified of eating, addicted to exercise, pulled from school and forced to move six hours back home, I at least hoped I could do some online classes and have a somewhat normal life. Who knows, maybe a whole semester off would finally help me catch up on "Unbreakable Kimmy Schmidt." I’d enroll in an outpatient program and spend my nights relaxing and talking to friends on the phone. When I arrived at the hospital and found out that no, I wouldn’t be going home to my own comfy bed and Netflix, and that I was too sick and underweight to do outpatient my world shattered. No phone, no Internet, no home for who knows how long? I had never been in a hospital before, let alone inpatient at a psychiatric one, and I was terrified. 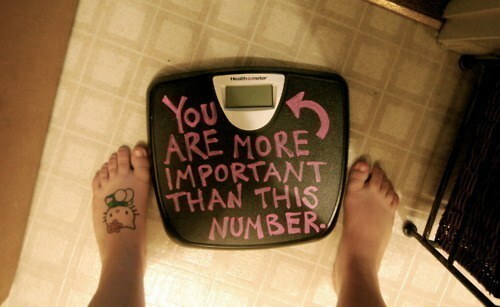 I had no clue what to expect when I got on the elevator to the eating disorder wing. All I knew was that I wasn't allowed to have any of my belongings yet, not even my underwear, my laptop and cellphone were somewhere with security, and I had never even had the chance to call my friends and tell them what was going on. Coming to the eating disorder unit was especially mystifying: What would they make me eat? What would I do in my spare time? What kind of people would be up there? I found my answer the moment the elevators opened. I walked in, probably looking like a deer in headlights, and sat down surrounded by girls of all ages from 17 to 70. At first, I was incredibly intimidated. It felt like freshman year of college all over again; moving into a floor where I knew none of the girls. A food menu and a meal plan were shoved into my hand, and I was told to pick something that fit my meal plan, which was just a lot of words and numbers that I didn’t understand. Two starches? Three meats? What? Luckily, it wasn’t long before girls and a few staff members swooped in to help me. They explained what my meal card meant, how dinner would go, what choices on the menu actually tasted good (or as good as hospital food can). The meal itself was a whole new experience. We couldn’t start until a specific time, and only got 45 minutes. 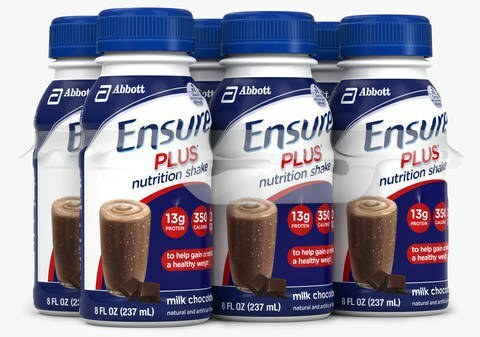 If you didn’t finish your food, you were given Ensure Plus, a weight gain liquid supplement. Fail to finish that, it was loss of “privileges” (the chance to go on the computer for 20 minutes, the chance to sit outside on the patio, the chance to do anything even close to fun, etc). We had three meals a day, plus an evening snack, which more often than not was more Ensure. Meal plans were the worst, and one’s people plan progressively increased. Anytime you heard the dietician call your name to meet in her office, it was like a death sentence (actually, it was an increase in 200 calories to your plan, but same thing). I started on meal plan 5, and ended on meal plan 17. They don’t tell you how many calories your meal plan actually is, but it’s not hard to figure out the system, and let me tell you, MP17 is a lot of calories. In our free time, we read, we colored, we watched TV. That was pretty much it. There wasn’t much therapy in inpatient; that was reserved for outpatient. The main goal of inpatient care is to get you to a weight were you are no longer in medical danger. The mood in the clinic was constantly up and down: one moment we could all be laughing and bonding, the next, doors would be slammed and tears shed. Most people with eating disorders also deal with anxiety and depression, plus a low weight makes one extra emotional, so everyone was constantly on edge. We were being forced to face our biggest fear, gaining weight, and there was nothing we could do about it. Despite the emotions, I still met some friends I’ll have for life. We also understood each other on a level our other friends could not, and the talks I had with some of the other patients were the first time I truly felt like I wasn’t alone. We had some funny times, too, and I met a lot of really interesting characters. I came out of the hospital with stories I’ll never forget and will always be excited to share. In the end, I finished my treatment (both outpatient and inpatient) in mid-April, and continued to stay in contact with many of the amazing people I met, from patients to staff. My experiences in a psychiatric hospital changed my outlook on food, body image, mental illness, and the world in general forever. I’m still not perfect, I still struggle, but I can say I’ve come far from the dying girl I was in January. I kicked, I screamed, I was miserable, and I tried repeatedly to leave, but all in all, I’m extremely glad I had the experiences I did. They changed my life, and I met the most incredible people in the world.